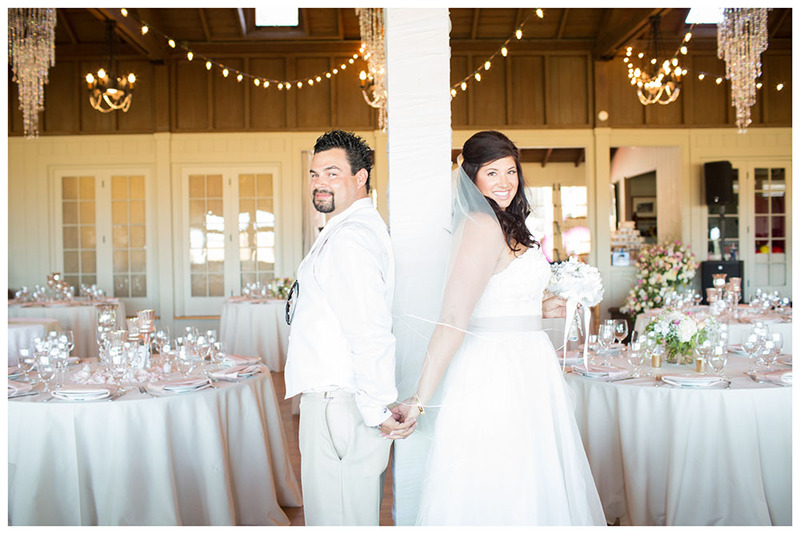 This adorable Petaluma couple met when they were just kids. At 12 years old, Gabe told Lyndsey he was going to marry her!! And here they are 18 years later…. Gabe was right! 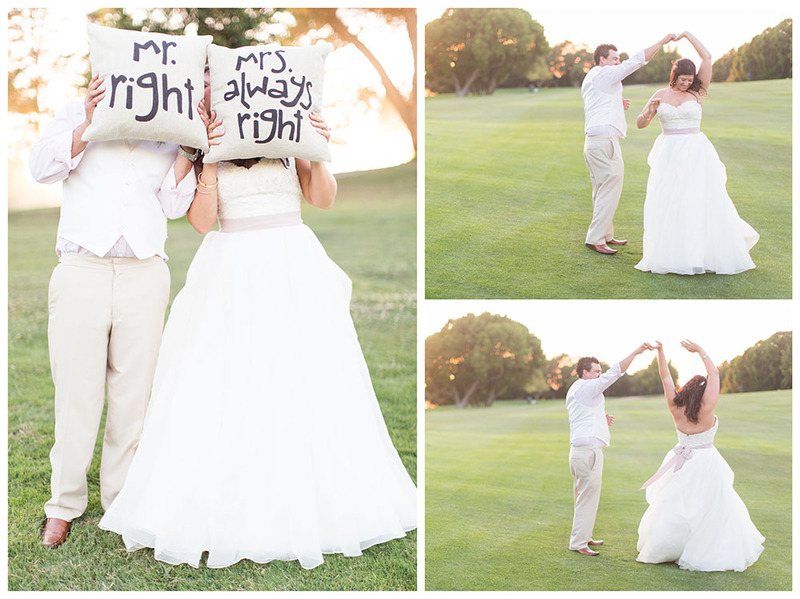 The fabulous Petaluma Golf & Country Club was the perfect location for these love bugs to tie the knot, with a lush green outdoor ceremony site and the perfect indoor hall for the reception. 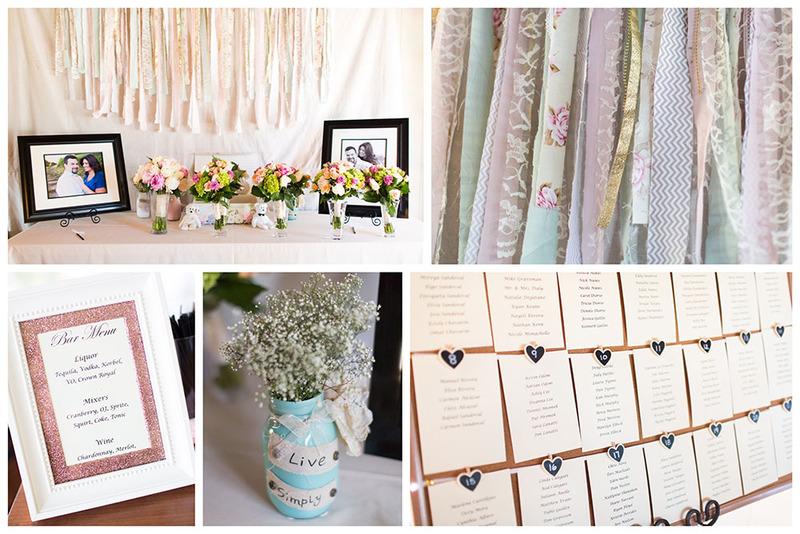 Lyndsey wanted a shabby-chic style for their wedding but with some sparkle and elegance. 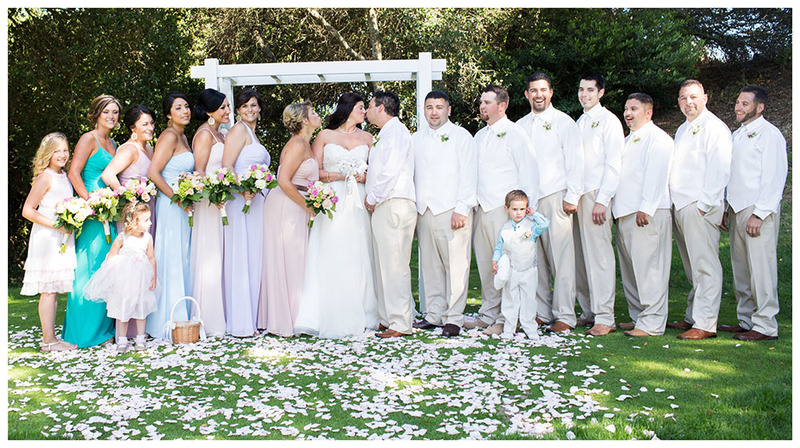 One of her favorite parts of the planning process was choosing the bridesmaids dresses. 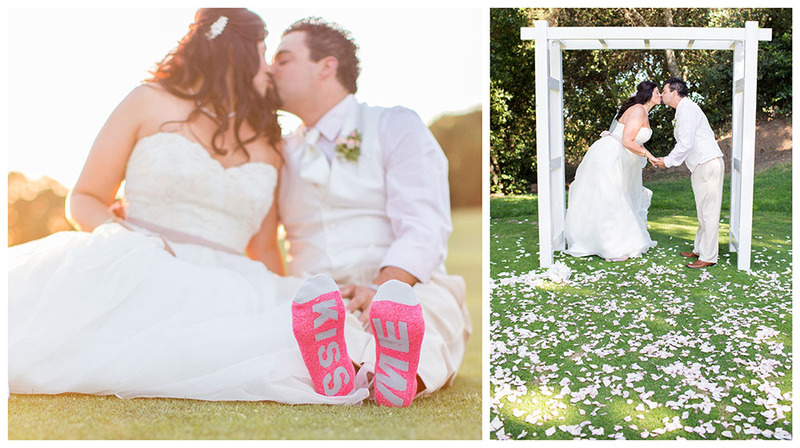 There were six colors that she loved so she decided to use them all! And look how beautiful! 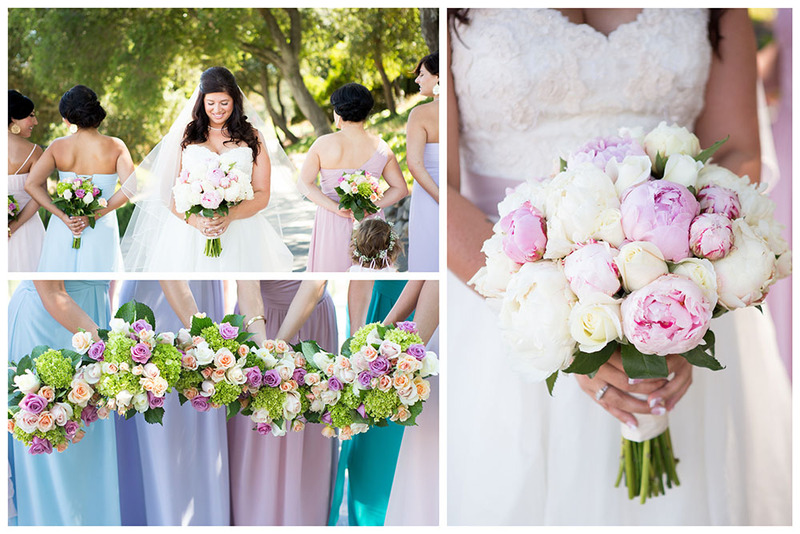 I am dying over Lyndsey’s gorgeous bouquet full of peonies!! And the bridesmaids bouquets were perfect too. 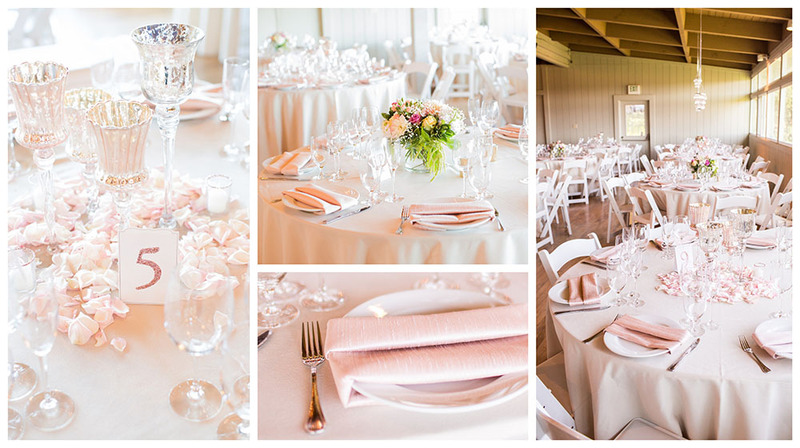 Beautiful blush and gold accents covered the reception hall tables and brilliant sunlight flooded the room like a dream. Encore’s linens look awesome! 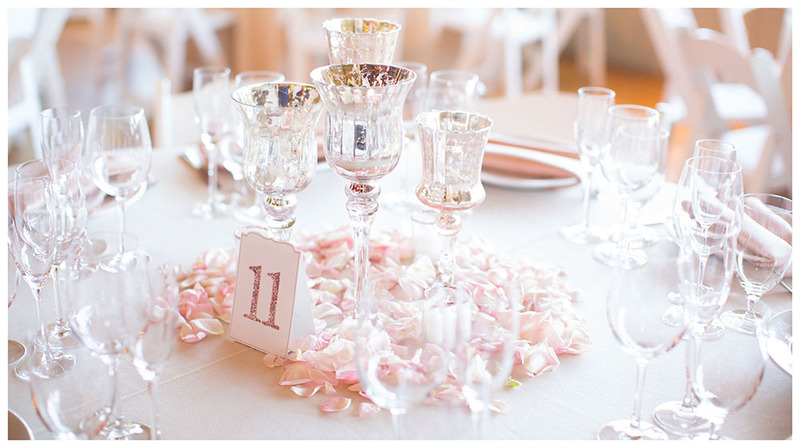 One of the most important details to Lyndsey was the sweetheart table. She rented one of our new love seats which was exactly what she wanted. Turned out perfect! Laurie Figone, a family friend and food connoisseur, made the delicious cupcakes. 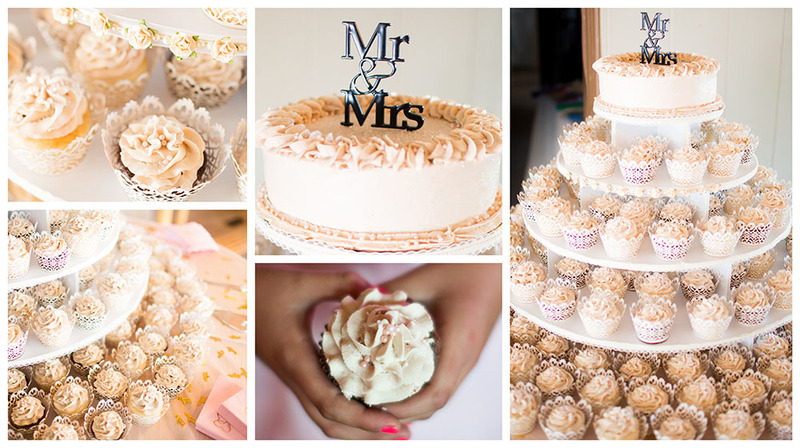 They almost look too pretty to eat don’t they? 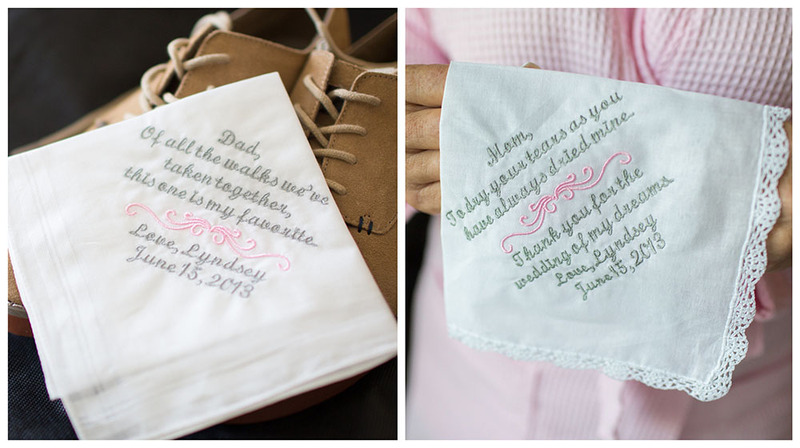 Lyndsey found these precious hand-made handkerchiefs on Etsy for her mom and dad…. so sweet. It’s obvious these two are so in love! 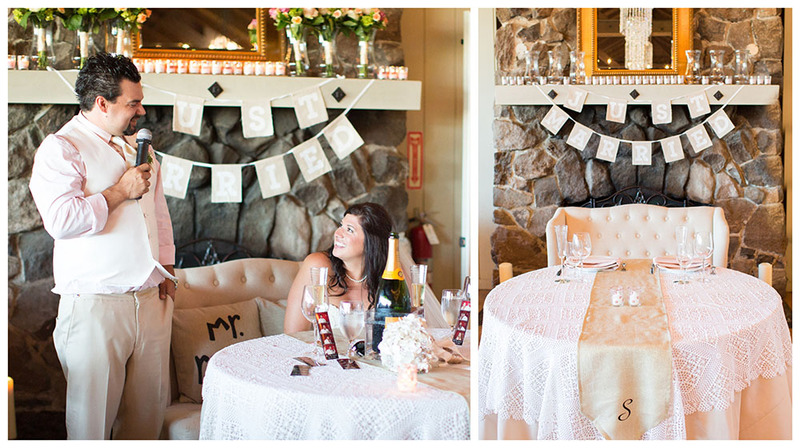 Lyndsey and Gabe, we wish you all the best in your marriage. 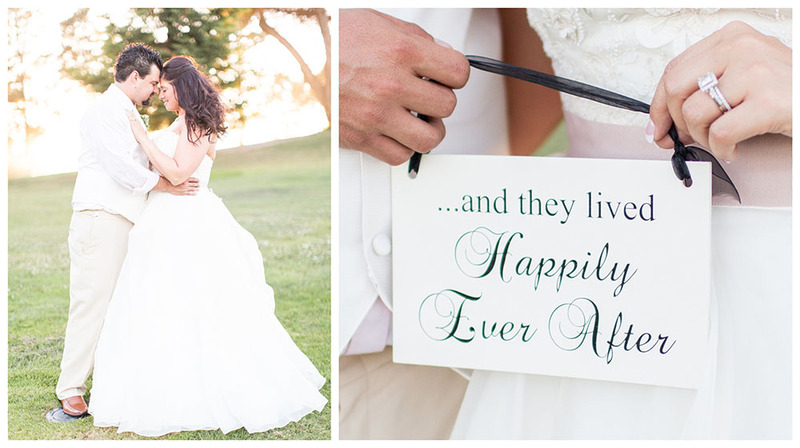 Here’s to an amazingly happy ever after!! 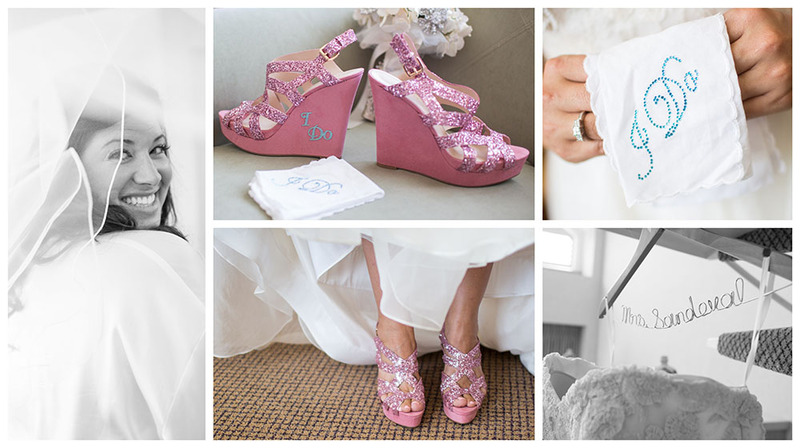 Bridal party hair & makeup: Eden Marks & Joanna at the Wash & Brush up Co.
And a very special THANK YOU to Mallory Miya Photography and Fiona Brennan Photography for the AMAZING PHOTOS!